Advertising cards amaze me in how their color and clarity has been maintained for over 100 years. 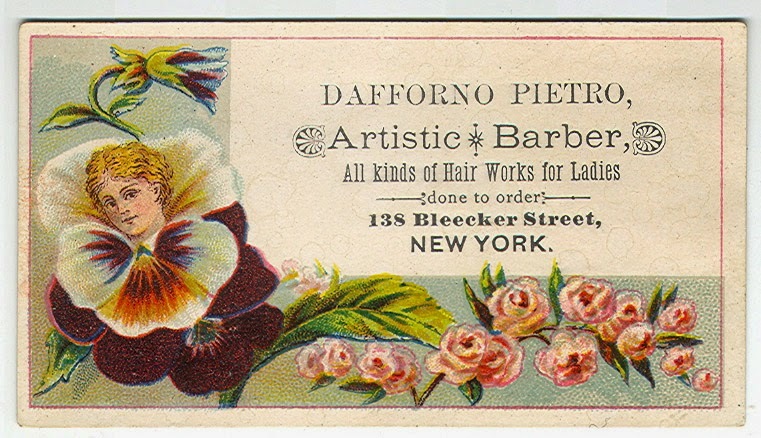 How could you not go to a barber named Dafforno Pietro? This gem was found at the Elephant's Truck Flea Market in New Milford, CT. When I am in an old house digging through old books or whatever I can dig through, I am in my element. I don't profess to be an expert, but in these situations, I am having the time of my life. A few weeks ago I was in an 18th century home and there were piles and piles of books to go through. This was the one that looked most promising I was not sure I'd find the Laws of Pennsylvania interesting, but I was only planning to breeze through it. I don't recommend the barbarians method, which is searching for items by pinching the spine of the book and waggling it back and forth until things fly out. The only thing that will fly out is you if the seller catches you. Not to mention the damage you could cause any book by that method of search. Flipping the pages and feeling for a change in the pattern when a separation caused by a foreign object will make the page-vacuum effect feel different to your touch. I'm really milking the subtle nuances here. What makes this find so awesome is that this blotter has probably been in this book for almost as long as the book has been around - say 1871? I don't usually like having Insurance agents sneak up on me, but in this case - Mason B Crary - you are welcome in my presence anytime! Every weekend there is a treasure-trove (what is a trove?) of eye candy for those willing to look. I don't buy everything I see, but I do try to grab still images when I can. These were shot at a Norwalk, CT estate sale. 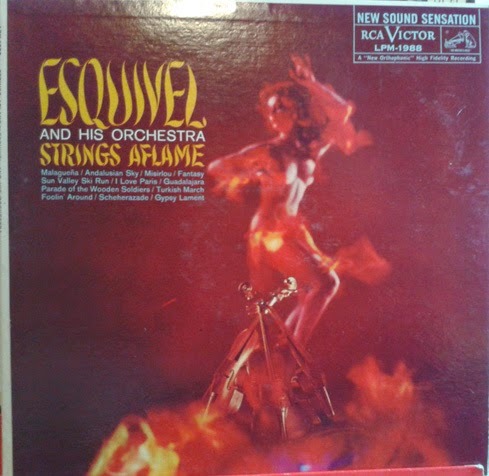 The above album could have been called "Music for Swingers" but I guess they thought this was better. I can't see how these made the music more sale-able. Would someone buy the album for the image alone? 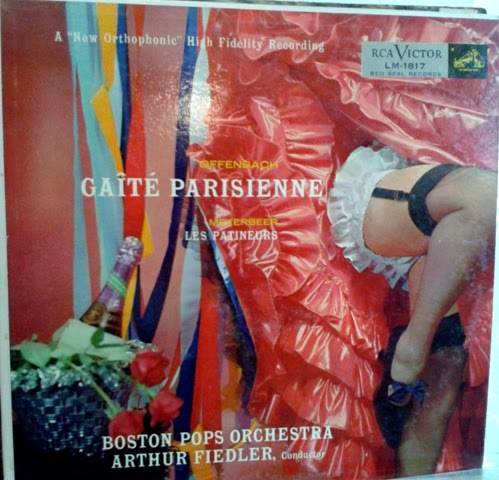 Or was this the image that should be going through your head while playing the album - instead of an image of Arthur Fiedler? What was Orthophonic? Was the idea to listen through your mouth? I'm not sure what is pictured here, but it looks like Hell. I noticed something in the first album cover, and no, it's not that the publisher put the "bum" in album. It is the sticker on the side. For whose protection and from what? This is not an Easter post. It is the story of and old article of paper in connection with the death of someone well known, who remains shrouded in mystery. 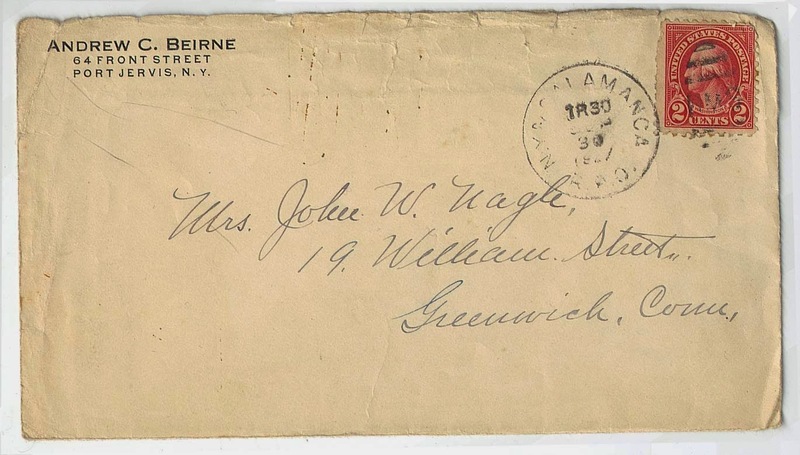 I picked up this envelope as it sat lonely on a table at a moving sale. Other items around the room pointed to some serious or at least thoughtful antique collecting. When I opened the envelope I was surprised to see an invoice. That name sounded familiar, and even possibly famous, or was it that everyone who uses their full middle name sounds famous - or infamous? A brief search has uncovered little about JW Nagle. What really piqued my curiosity was what was printed on the back. Was it normal practice to put a promotional map for the town in which the funeral home is located on the back of the bill for the internment? Seems a little misplaced. So I really have 2 mysteries to solve. 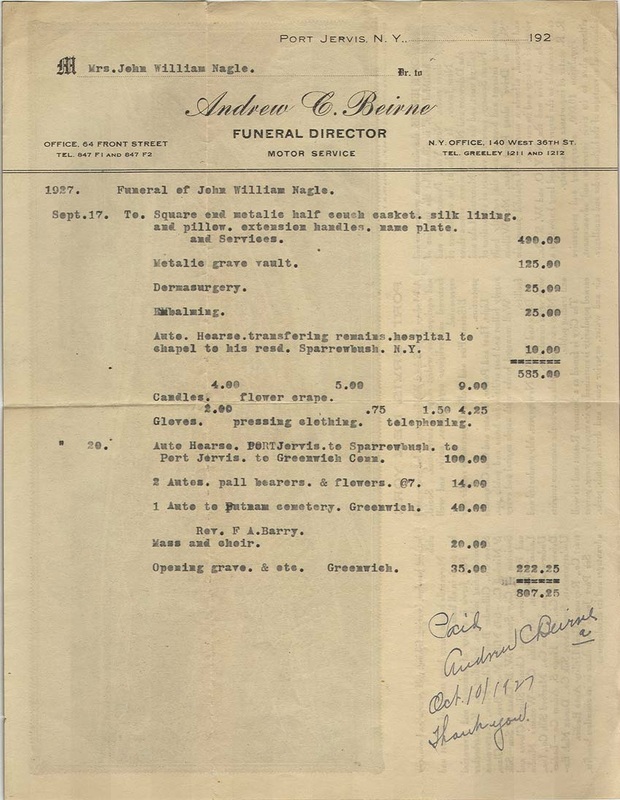 Who was John William Nagle, and why did funeral director Beirne print a city map along with the bill? 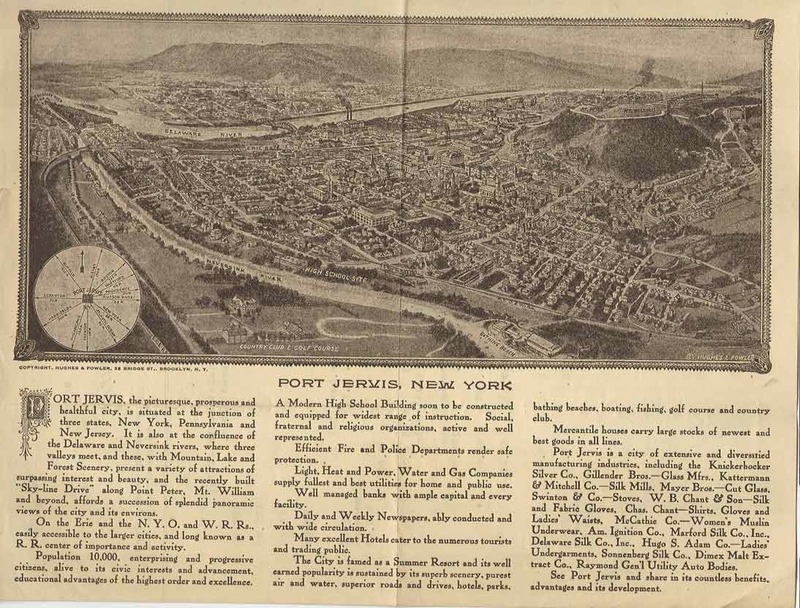 This reproduction bird's-eye view map of Port Jervis, New York was published by Hughes & Fowler in 1920. Port Jervis is a city in Orange County on the north shore of the Delaware River. The Delaware and Hudson Canal was completed here as the nations first privately owned canal system. Port Jervis was named after canal engineer John Bloomfield Jervis. At the time of this map's publishing the Port Jervis community was a favorite filming locale for D. W. Griffith's and Mack Sennett's film companies. Film stars of the era Lillian Gish, Mary Pickford and Mabel Normand were all filmed in this area. 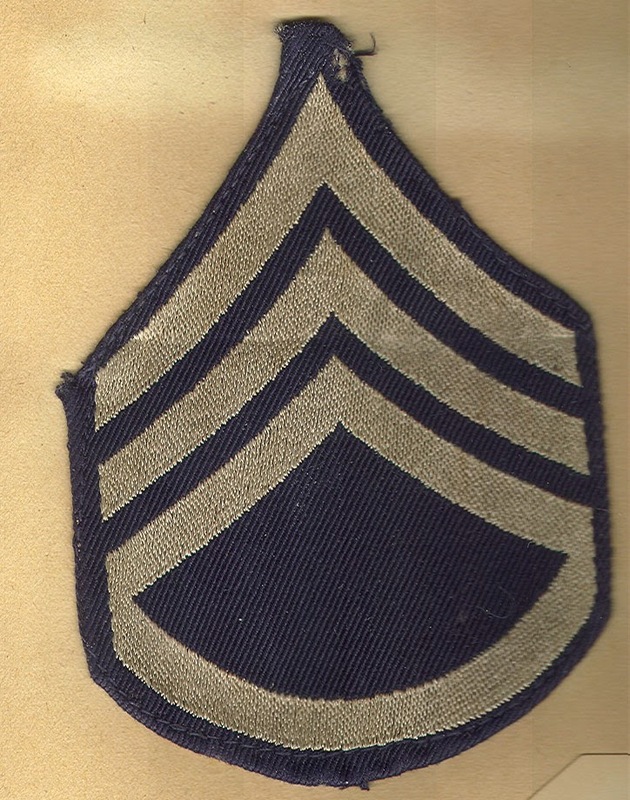 If you can help with either mystery, please post it in the comments, or send me an email. A popular and often high-priced item I see at estate sales and flea markets are scrapbooks. They are exactly that, a collection of scraps meant to note important life events such as a birth or death or journey somewhere. They can also be collections of newspaper clippings and photos dedicated to a celebrity or monarch, songs, or recipes. 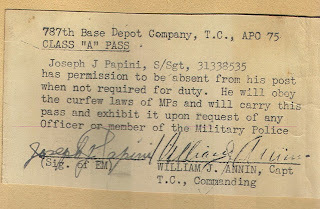 I was permitted to rummage around the basement of an antique shop in Oakville, Connecticut that was going out of business. I came up with this large scrapbook. At first, I thought I would pass it up, there were so many personal items it is sad to think there was no one to take this when the estate came up for sale. When I saw it had belonged to a Connecticut couple, I decided to take care of it. At home, I began to read it like a book. 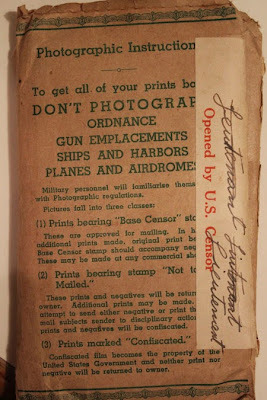 I noticed a few pages dedicated to a husband's time away from home while he served in war. 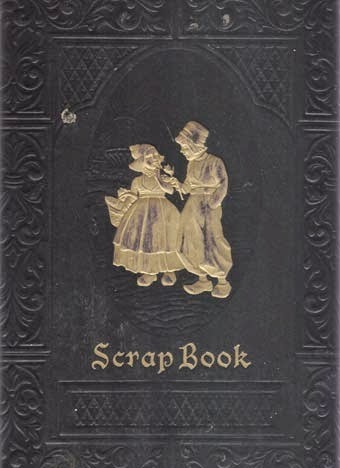 This was a well organized scrapbook. Julia Santa Barbara Papini came from a large family. She had five sisters and five brothers. I can only imagine that some if not most of the wedding invitations and announcements are family as well as friends. 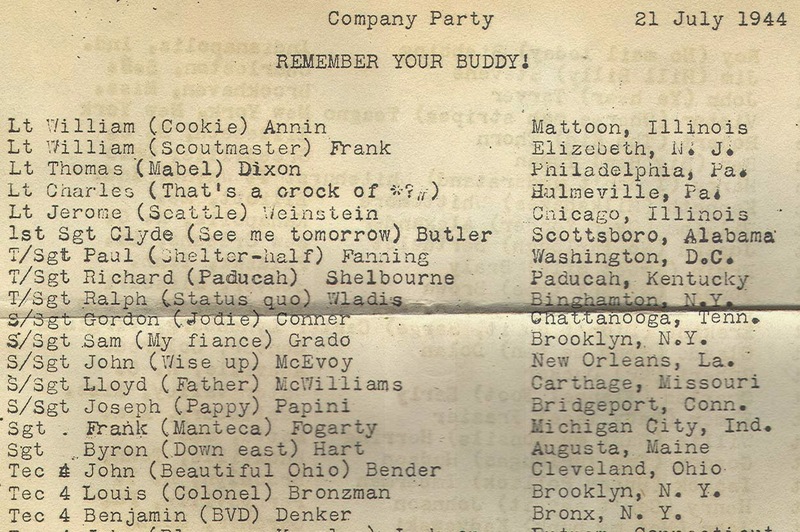 Her husband, the subject of the items pictured here, came from a smaller family with only a single brother and sister. Why all the background? In order to pick through the scrapbook of someone's life, I need to pay respect. If this were a collection of celebrity memorabilia I might pick it to pieces, being a family heirloom I wanted to do something else. 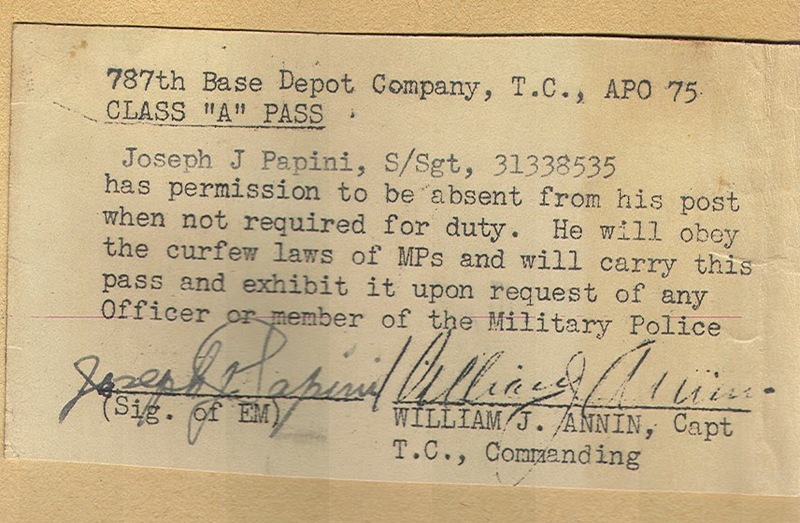 Joseph Papini had brought with him during his service, a small camera. 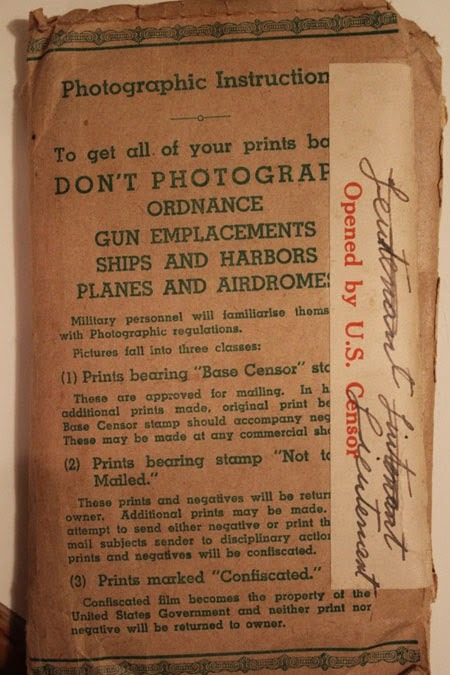 Soldiers were permitted cameras but, like all their written correspondence, needed to be reviewed by an Army censor. Maybe these images will help promote this story and my hope to give it a better home. By producing a brief documentary featuring the images, I hope a distant relative will come forward. Take a look. This is a Connecticut story, but can happen anywhere. I know there will be others and hopefully this one will end like the last one - with a visit to a relative and a return of what is rightfully theirs. If you know a Papini or a Santa Barbara, drop me a line and I'll check it out. 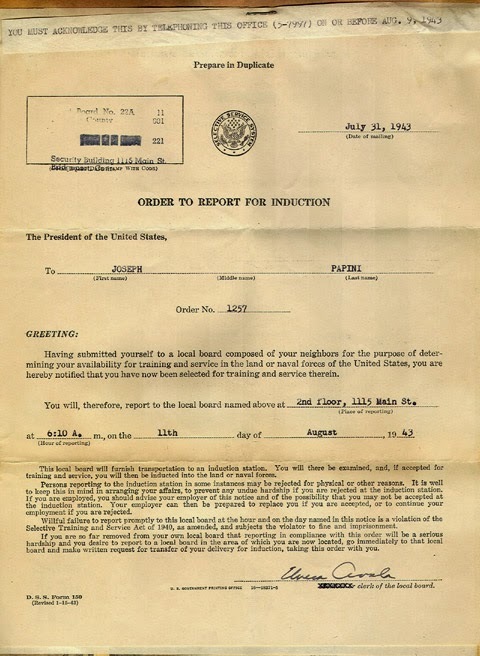 ADDENDUM - I have written about this kind of discovery before - A piece of WWII history, a family connected to it, and no way to tell the full story without help - Click here to read.